On Aug. 30, 2011, President Obama sent a letter to House Speaker John Boehner responding to his request that the administration supply Congress with any planned new rules costing more than $1 billion. The president provided a list of seven such rules, noting the cost (but not the benefits) for each. One of these potential rules, the Ozone standard, has since been withdrawn by the administration. This exchange generated substantial press coverage, despite the conspicuous absence of information provided on the potential benefits from these rules. This information, however, is readily available, and these benefits would be enormous. Tabulating information from the regulatory impact analysis for each proposed rule indicates that the monetized benefits from the remaining six rules could amount to $218 billion a year. If these rules are finalized, the final versions might differ from the proposed versions or the estimates may change, so the overall cost and benefit figures may differ from those described here. The combined annual benefits from these rules range from $83 billion to $218 billion a year, dramatically exceeding the range of costs of $19 billion to $20 billion a year. This means net benefits could range from $63 billion a year to close to $200 billion a year. This exercise underscores the folly of considering the costs of rules, even if the price tags come in at above a billion dollars, without considering their benefits. Note on coal ash calculation: The table above includes the benefit range for the scenario EPA considers most likely, in which the regulation of coal ash will increase the use of coal ash for other purposes. Opponents of this regulation typically cite another scenario, in which the regulation of coal ash stigmatizes its use. The Environmental Integrity Project and the Institute for Policy Integrity have separately advanced strong arguments against the application of the worst-case “stigma” scenario, in which the regulation of coal ash is assumed to undercut the use of coal ash for other purposes. Still, even if that unlikely worst case scenario applies, the combined benefits from the six billion-dollar regulations examined here would equal between $80 billion and $193 billion, and net benefits would range from $60 billion to $174 billion. House Republicans intend to pass legislation this week to further weaken the National Labor Relations Board and leave it less able to protect workers from anti-union retaliation by companies like Boeing. — The NLRB hasn’t ordered Boeing to do anything. Its General Counsel filed a complaint, but the NLRB members haven’t heard the case or made any decision. The administrative Law Judge hasn’t even scheduled a hearing. — The case has nothing to do with right to work laws, and the General Counsel would have filed the same complaint if the company had moved production to Michigan or Massachusetts rather than South Carolina. — No governmental power has been abused. The NLRB General Counsel is following established precedent. The GC under Ronald Reagan would have handled this case the same way. We know this because, faced with a similar case, the NLRB under Reagan in fact did order an employer (Century Air Freight) to return to the status quo, moving work back to a union plant after the employer broke the law by moving the work out. — The remedy the General Counsel is seeking allows Boeing to maintain a production line in South Carolina. The NLRB complaint explicitly permits Boeing to move work to South Carolina for non-discriminatory reasons. The only abuse in this case is the abuse of power by politicians like Rep. Darrell Issa and Speaker of the House John Boehner, who are intervening in an enforcement proceeding on behalf of a powerful corporation that has given hundreds of thousands of dollars to politicians, including Issa and Boehner. Is it any surprise that Boeing’s contributions tipped toward the Republicans this year and now favor them 60% to 40%, according to Open Secrets? In the past, attempts by elected officials to influence ongoing investigations or enforcement were considered unethical, and politicians like the Keating 5 risked real damage to their careers when they intervened on behalf of campaign contributors. What a difference a few years and Citizens United have made. In truth, there’s probably one other guilty party: the Boeing Corporation, which apparently intended to teach the Machinists Union a lesson by punishing them for exercising their legal right to strike. Boeing could legally move work to South Carolina for any number of reasons, including because it prefers to operate in a right-to-work state, it wants to find cheaper workers, or because the state gave it tax breaks to move. But it has been illegal for 76 years to move in order to retaliate against employees who chose to strike during their last contract negotiations, and it’s illegal to threaten employees with punishment for striking. The right to strike is a fundamental human right, protected by the United Nations charter and the National Relations Act. And Boeing knows that. Even so, there’s plenty of evidence to support the NLRB complaint that Boeing violated the law. Now they want not just to avoid liability, but to cripple the NLRB’s ability to protect other workers in the future. And Boeing is so big and so politically connected, and has so much help from the rest of the organized business lobby, it might well succeed. So don’t be misled. This isn’t a case of big government telling business where it can operate. It’s government of the people, by the people, and for the people defending a fundamental human right and middle-class workers who have nowhere else to turn. I make a discouraging prediction: academic achievement gaps between advantaged children and the various categories of disadvantaged children will grow in coming years, and education policy will be powerless to prevent this. A recent Economic Policy Institute analysis suggests the impact of our stagnant employment rate on children’s welfare. Consider, for example, the unusually severe labor market adversity experienced by black families, and how this is likely to affect the black-white achievement gap that receives so much well-deserved attention in education policy. — Although the national unemployment rate for whites is now 8 percent, for African-Americans it is 17 percent. — Although the underemployment rate (including those who have given up looking for work, and those who have taken part time jobs because full time work is unavailable) for whites is now 13 percent, for African-Americans it is 25 percent. — Although 8 percent of white children had an unemployed parent during an average month in 2010, 16 percent of African-American children had such a parent. — Because African-American children are more likely to be in single parent homes than whites (67 percent vs. 24 percent), they are also more likely to have been in homes where no parent was working at some time during the past year. Parental unemployment has a demonstrable impact on student achievement. When parents suffer unemployment, parents’ stress increases and they are more likely to discipline their children arbitrarily, leading to children themselves attending school in greater stress and less able to perform to the top of their ability. When parents suffer unemployment, they are more likely to lose health insurance; their children are less likely to get routine and preventive health care, are more likely to suffer from untreated asthma, toothaches, and earaches, and uncorrected vision problems, all of which contribute to school absenteeism and less ability to perform in schools. When parents suffer unemployment, they are more likely to lose their homes, or fall behind in rent, leading to more frequent moves and interrupted schooling for their children. When parents suffer unemployment, they are more likely to shift their youngest children from more expensive (and higher-quality) early childhood programs to less expensive (and lower-quality) programs. Even children of employed parents are suffering from the weak labor market: 38 percent of families have suffered an erosion of wages, hours worked or benefits. Many have also lost health insurance in the last year. All of these adverse impacts of the recession disproportionately affect African-Americans, Hispanics and low-income families. Even if the modest job creation policies now being advanced by President Obama were to be enacted, and unemployment were to fall somewhat, the accumulated effects of the economic crisis will permanently damage a generation of children. The first five are the most important years of a child’s development. When parents are in economic crisis during their children’s infancy and early childhood, the damage to children’s healthy maturation permanently diminishes their future prospects. Today’s disparate experience of unemployment by parental group will be reflected not only in their young children’s relative school readiness, but in an achievement gap of high schoolers a decade hence and then in disparate adult earnings throughout their working careers. Education policymakers devote great time and effort these days to a variety of school interventions – improving teacher quality, creating common standards, offering greater school choice. These may make a difference, but will be overwhelmed by the immediate and long-term consequences of our failure to attack unemployment with sufficient vigor. As a result, our achievement gaps will grow and whatever positive effect new school interventions may have will be swamped by the array of calamities accompanying persistent high unemployment – parental stress, housing instability, inadequate health care, and other impacts of reduced income on parental ability to nurture their children and deliver them to school ready to learn. On Tuesday morning, Sept. 13, the U.S. Census Bureau will release the newest data on poverty, health insurance, and annual income for 2010. This is the one data release in the year that gives us the most-quoted information on what happened to family income, poverty, and health insurance coverage over the preceding year. It’s a great window into why debates over the state of the economy and labor market have real, human consequences. Unfortunately, we expect the bad news to continue. Why? Namely because of two factors. First, the unemployment rate increased from 9.3% in 2009 to 9.6% in 2010. Second, long-term unemployment, or the percent unemployed 27 weeks or more, grew from 31.2% in 2009 to 43.3% in 2010. – In 2009, the poverty rate hit a record high of 14.3%, a level not seen since 1994. The data will likely show a slight increase in poverty in 2010, a balancing act between higher unemployment and unemployment insurance extensions. – In 2009, deep poverty hit a record high (since the data began being collected in 1975). Again, given the poor labor market, there’s a good chance 2010 will break last year’s high as more Americans fall below half the poverty line. – It’s likely that we’ll see a full decade of consecutive losses in employer-sponsored health insurance. As the job market remains weak (both lack of jobs and lack of bargaining power), Americans can no longer depend on their workplace for consistent affordable coverage. – Losses in workplace coverage will lead many to become uninsured, with an expected small rise in the rate of uninsurance in the U.S. Kids will likely be somewhat insulated from these losses through public insurance, but working-age adults will continue their upward march towards nearly one in four working age adults uninsured. – Income for the median, or typical, family, after adjusting for inflation, will have declined in 2010. Working-age households, who are most affected by deterioration in the labor market, will have seen the biggest losses. – These losses will cap off a decade of deterioration: the median working-age household saw an income decline of nearly $5,000 between 2000 and 2009 due to both the extremely weak business cycle from 2000 to 2007 and the Great Recession from 2007 to 2009. Check back on Tuesday for our live analysis of the 2010 data. It is nice to see that good public policy research can make its way down the long and winding road of idea to proposal to … (dare to dream) legislation? Last night, President Obama called for the passage of an American Jobs Act, which would spend nearly $450 billion on aid to unemployed workers and strapped state and local governments, infrastructure spending (with school renovations and improvements singled out for lots of this spending), and tax cuts for both workers and businesses. The size and composition of the American Jobs Act looks a lot like the American Jobs Plan that EPI forwarded in December 2009. This is a good thing not just for EPI’s ego, but for the future of the American labor market. You see, the similarities in these plans aren’t evidence that EPI has some mammoth influence on the administration, instead both plans are simply based on a solid consensus of what applied economists know about what would actually work to reduce joblessness fast. Now, we will pat ourselves on the back for a couple of things. We got the depth of the downturn and the stubbornness of the recovery right in real-time – before, unfortunately, most of our policymakers. We also have been calling all along for lengthy and generous unemployment compensation and for infrastructure spending – particularly on schools – to be a major part of stimulus. It’s extraordinarily efficient stimulus and the main strike argued against it (it’s too slow in being rolled out) never made much sense to us – because we knew early-on how long unemployment would remain elevated and how much job-growth would be needed to combat it. And, we argued that if you must make business tax cuts part of a jobs-plan to garner wide-spread support, you should at least tie these tax cuts directly to firm’s hiring decisions to maximize their bang-for-buck. It’s a shame that policymakers’ attention drifted from job-creation for a year or more, but at least it’s back on the front-burner now. EPI was just one cog in the machine arguing for this renewed focus, but we’re happy it’s arrived and want to do what we can in the coming months to make sure that as much of this well-considered jobs-plan makes it through the (sure to be) brutal legislative process as possible. To hear the punditry tell it, the priority Washington has given to deficit reduction over job creation reflects an ideological revolt from the grass roots against big government. Yet, listening to such Tea Party ravings as “Keep the Government’s hands off Medicare” hardly suggests the presence of deep thinking about political philosophy. Moreover, the polls don’t show much division on the deficit/jobs question at all. Majorities think that the government should put the unemployed to work by investing in infrastructure and education and should get the money by taxing the rich. So why the gap between what the people prefer and what their elected representatives are doing? The answer is money, which ironically is rarely mentioned by the talking heads and columnists who instruct the public about economic policy. I’m not talking about the money supply, here. I’m talking about the money that the typical politician spends 75 percent of his or her time raising for the next election. The present quasi-lunatic state of our political debate is no accident. It is the inevitable product of the large amounts invested by corporate America in politicians who promote its interest in government de-regulation and low taxes. In 2010, for example, Tea Party- connected candidates received at least $20 million in contributions from Wall Street and the U.S. Chamber of Commerce. Why? After having been rescued from the consequences of their own greed and folly by President Obama, Wall Street is now outraged at the modest restraints put on their recklessness by the Dodd-Frank Bill, and any hint that they might be asked to pay a little more in taxes to help pay for the economic damage they have done. With last year’s Supreme Court’s Citizen United decision, economic policy will be even more hostage to campaign spending by the rich and powerful. My own view is that public financing of campaigns has not worked. So Progressives need to directly attack the Supreme Court ruling by organizing a movement for a constitutional amendment aimed at controlling money in politics. The opportunity for educating the public on how their government really works alone would make the effort worthwhile. Pie in the sky? Maybe. But it is even more naïve to think that we will ever have an economy that works for working people if the interests that are sucking our economy dry continue to choose the policymakers. President Obama got a lot right in his jobs speech tonight, starting with the understanding that we can’t budget-cut our way out of the unemployment crisis. No jobs will be created by cutting federal spending or the deficit, something every economist knows. He was absolutely right to focus on increasing consumer spending by putting more money in the pockets of working class and middle class families. Consumer spending drives the economy and gives businesses the incentive to invest here in the U.S. and hire here, rather than overseas. Emergency Unemployment Compensation creates jobs by giving the jobless money to spend at local businesses that would close or lay off employees if they didn’t have enough customers. Payroll tax cuts will do the same on a broader scale. The president was also right to focus on job-creating investments like school repairs and transportation infrastructure. We lost more than two million construction jobs when the housing market collapsed, and more than a million construction workers are still officially unemployed. There is plenty of work for them to do and now is the time to do it. It costs money to build bridges and transit systems, to improve highways, and to repair and upgrade our school buildings. Unemployment is this year’s crisis, today’s crisis, and worries about our long-term debt are not the priority now. We can’t solve deficit problems with 25 million Americans underemployed. Spending on infrastructure is far preferable even to tax cuts for working families: it puts more people to work for every dollar spent and leaves us with public goods that will increase productivity and improve the quality of life and the performance of our schoolchildren for many years. Renovating 35,000 schools is a terrific goal. The recession wrecked state budgets, forcing them to lay off essential personnel like teachers and police officers. The president is right to help states preserve those jobs with $35 billion in grants. Every job saved is as good as a job created, but these particular jobs are also essential to public safety and the future performance of America’s workforce. The president’s proposed tax credits for hiring new workers, when combined with the payroll tax holiday, might be enough to induce some employers to hire when they otherwise would have hesitated. EPI and the president both proposed a bigger credit two years ago but Congress never acted. In this case, bigger would be better. The payroll tax holiday itself is bad Social Security policy and poor job creation policy. It’s only value is political: it appeals to Republicans. The money would be better spent to increase the hiring credit. The president stumbles with his proposed expansion of a failed, illegal state program, Georgia Works, that lets employers “try out” employees without paying them. It is the first step in unraveling a critical part of the safety net, unemployment insurance, and a poorly thought-out tactical ploy that working Americans will come to regret. A million Americans are already working without pay in internships. Enough is enough. The president should be cracking down on labor standards violations, not promoting them. This is not the pathway to middle-class jobs and good wages; it’s a recipe for wage depression. It brings the grade for what was otherwise an A plan down to a B+. How effective is President Obama’s jobs plan? Earlier today and in our recent paperwe laid out some criteria for assessing a jobs plan. So, how did President Obama do by our criteria? Very well, as the package provides a substantial boost to the economy in addition to continuing the important efforts already underway (providing unemployment compensation and the payroll tax holiday). The components of the plan are highly effective for the most part, including spending on various types of infrastructure, support for teachers and first responders, and a new jobs tax credit. So, it will be effective and at a scale that can really move the dial. The initial year (or more) will be deficit financed so the effort doesn’t take away with one hand what the other hand had already done—paying for the program in the out years of a 10-year period allows this. So, the plan does get high grades. For more, see Ross Eisenbrey’s analysis of the good and bad parts of the plan and John Irons’ assessment of the plan’s impact on employment and unemployment. Criterion One: Will the policy make a real difference in job creation in the next 24 months? The first question that should be asked about a jobs plan is, “Will a sizable number of jobs be created within two years?” The answer is that the plan does set policies that will move the dial in the next year. First, the continuation (actually the expansion) of the employee payroll tax holiday and the current program of emergency unemployment compensation for the long-term unemployed prevents the loss of jobs. Second, there are new efforts that will boost spending and thereby generate jobs and lower unemployment: transportation infrastructure, the infrastructure bank, school repair and modernization, and funds for state/local governments to support teachers and first responders. This new spending amounts, we estimate, to as much as $125 billion, an amount that generates perhaps as much 1.5 million jobs. That certainly moves the dial. Third, the expansion of the employee-side payroll tax holiday and the new jobs tax credit (similar, we understand, to what EPI proposed back in 2009) will add more employment. Last, the proposal to provide a payroll tax holiday for employers on the first $5 million of payroll is not all that effective as I wrote earlier. However, some analysts project that this would help generate jobs as well. Overall, this plan does provide a serious amount of investments and support for the economy above the continuation of the current effort (payroll tax holiday, unemployment compensation). Consequently, it will make a real difference over the next year or two. Criterion two: Is the policy effective and efficient? We said, “A jobs plan should be an effective use of resources so that each billion dollars in either expenditures or lost revenue generates more jobs than alternative plans.” This plan meets this criteria as it provides efforts that are very effective at generating jobs, including providing unemployment compensation, and improving infrastructure (roads, highways, schools). This part of the plan, thankfully, dominates the weaker efforts such as allowing accelerated depreciation for business or the employer-side tax holiday. Criterion three: How is the policy funded? We don’t have much details on the ‘pay fors’ but it seems that they will all kick in no sooner than 2013 and probably later than that. So, the plan is deficit neutral over 10 years but it does raise the deficit over the next years or so. AS IT SHOULD! Criterion four: Is the policy at the appropriate scale to produce a substantial number of jobs? We said, “In order to put a significant dent in unemployment and establish a fast trajectory toward low unemployment, the jobs plan must be sufficiently large.” This plan puts about $450 billion into the economy over the next years or so. That is substantially above the $167 billion needed to maintain the current effort (payroll tax holiday and unemployment compensation), so the plan provides a substantial boost. Proponents of jobs plans should set clear goals regarding the extent to which unemployment will be reduced over the next two years. While the first three criteria can be used to evaluate individual job creation policies in isolation, this final criterion of scale should be applied instead to a package of job-creation policies. If policymakers’ effectiveness in alleviating joblessness matched their rhetorical commitment, we would live in a much happier country (and world). There is not an incumbent national politician in the country who doesn’t claim to be extremely concerned, even frantic, about the need to fight joblessness. Despite this, and despite claims that we’re just not sure what would really work to fight joblessness, the simple fact is that there are powerful policy levers that, if pulled, would rapidly lower the unemployment rate that are not being used. Why policymakers are reluctant to use them is a pretty fascinating question that I hope to write more on (the essential place to start pondering this question is here), but today I’ll just sketch out the policy levers and make claims about the extent of their under-utilization – and this will alone make this far too long for a blog-post, so sorry about that. These policy solutions are all premised on the belief that the problems facing the economy today stem from the failure of businesses, households, and government to spend enough money to keep all workers that want a job employed. When the $8 trillion bubble in housing popped, the construction activity and consumer spending associated with it left a gaping hole in overall demand for goods and services that has not yet been filled. There are basically three policy levers that can be used to help fill this shortfall in demand: fiscal, monetary, and exchange-rate policies. None of them are close to being maxed-out and some are going in precisely the wrong direction one would want if fighting joblessness was actually your top priority. Most strangely, the prevailing conventional wisdom is that it is politically unrealistic indeed – downright naïve, in fact – to call for these levers to be pulled with real force and reduce joblessness. What most voters don’t (but need to) know is that this rock-solid conventional wisdom is utterly at odds with textbook macroeconomics – in fact it’s essentially economic flat-earthism. And yet it’s powerful enough to keep policymakers inert while millions of Americans remain unemployed. Given that jobs is the topic dominating media coverage this week, here is a quick overview for deciding whether or not a policymaker is genuinely concerned about joblessness or just playing such a concerned policymaker on TV. If they’re really devoted to ending joblessness, they will be talking about these policy levers and how they should be pulled. Fiscal policy: When business and household spending craters, government spending (and, generally less-effectively, tax cuts) can and should increase to stem the private declines. How much fiscal support should be provided to today’s economy? Currently, the “output gap” is roughly $1 trillion – meaning that this much additional aggregate demand is needed to soak up the resources idled during the recession. Assuming a reasonable multiplier makes it clear that the economy could absorb at least $600 billion in additional fiscal support in the coming year before it came close to returning to pre-recession unemployment rates. Now, of course this isn’t politically realistic, and that’s a real problem because fiscal support is the lever most guaranteed to work and with sufficient scale to fully solve the jobs-crisis. This said, policymakers who were genuinely frantic about the problem of joblessness would be talking about the need for more fiscal support and talking on a similar scale. Such policymakers do exist! Needless to say, policymakers truly frantic about fighting joblessness wouldn’t be slashing at spending in the near-term, or stressing the need for government to “tighten its belt” the way cash-strapped families need to. This is not so. There are a range of things that could still be done. They could launch another round of “large-scale asset purchases” – buying longer-term debt to directly target the interest rates that influence business investment and consumer spending. And they could launch it on a scale that would actually move the economy. They could announce a higher inflation target to provide confidence to households burdened by large debt overhangs that these burdens would lighten over time. Policymakers who thought this aggressive approach to fighting joblessness was warranted could do more than just call for it (though even that would be a bold act in today’s “realistic” climate) – they could also agitate for the appointment of unemployment hawks to the two vacancies in the Federal Reserve Board of Governors – including recess appointments if confirmation of these unemployment hawks was held up by the Senate. Such talk would, of course, bring stern lectures from purveyors of conventional wisdom about the danger of threatening “central bank independence” – but in fact there is no central bank independence in the current system, there is only insulation from stakeholders that are not the finance sector. What policymakers not particularly concerned about joblessness will do is complain that the Fed is overreached or has laid the ground for runaway inflation. Exchange-rate policy: The Swiss government announced this week that too many investors fleeing Euro-denominated assets had begun demanding Franc-denominated ones; the increased demand for Francs pushed up the Swiss currency and made it too expensive for Swiss products to compete on global markets. They vowed to fight this development with the policy tools they had available. What’s this have to do with us? Well, the U.S. dollar has been over-valued (and continues to be) for years – and remedying this over-valuation in the next couple of years could boost our net exports and jobs. And the overvaluation of the U.S. dollar (unlike that of the Franc) is actually not a case of markets getting panicked – it stems instead from the policy decisions of major trading partners (China, in particular) to keep their own currencies from rising against the dollar by buying hundreds of billions of dollars of U.S. assets. In short, the over-valuation of the dollar is now almost entirely driven by policy – so the remedy should be, too. Such a revaluation of the Chinese currency against the dollar would essentially take aggregate demand from the Chinese economy and give it to U.S. economy. This might sound somehow unfair at first blush, but it turns out that the U.S. needs this demand and China doesn’t. In fact, China in the past year has actually begun raising domestic interest rates and restricting credit to choke off too-rapid demand growth in their economy. So what would policymakers frantic about joblessness call for in terms of engineering a revaluation of currencies that are pegged too low against the dollar? Take your pick. But they surely would be doing something ; or at the very least something besides saying that a strong dollar is good for the United States. As we watch President Obama’s speech and Congress’ response, ask yourself if this looks like a group of policymakers who are genuinely frantic about fighting joblessness. If the answer’s ‘yes’, that will be a huge improvement. Getting ready to watch President Obama present his jobs plan? As you gather the snacks, keep the following scorecard handy to judge this program, and any others you happen upon. We laid out some criteria recently and they are worth reviewing again. The first question that should be asked about a jobs plan is, “Will a sizeable number of jobs be created within two years?” The recessionary labor market has already persisted for three-and-a-half years, and the need to get the unemployment rate on a steep downward trajectory is obvious. Since robust job growth should extend beyond the next 24 months, we should also ask whether a plan will ensure sufficient economic growth to drive steep declines in unemployment beyond 2013. This criterion is important because some policies already suggested by Congress and the administration will generate jobs too slowly, with little or no impact in the near term—think trade treaties, patent reform, corporate tax reform and so on that might never have much impact on jobs and certainly will not move the dial in the next two years. A jobs plan should be an effective use of resources so that each billion dollars in either expenditures or lost revenue generates more jobs than alternative plans. Simply put, some policies offer more bang for the buck. We know from the Congressional Budget Office, academic experts, and private-sector forecasters (Elmendorf 2010; CBO 2011; and Mark Zandi 2010, 2011) what the most effective policy tools for generating jobs are. Generally, tax cuts are weaker than spending to generate jobs and spending on low and moderate income people generates the most jobs (see the appendix of this recent EPI briefing paper for a comparison of the cost effectiveness of various proposed job creation policies). The most effective job creation policies cannot be “paid for” by higher taxes or other spending cuts in the near term. Effective jobs policy injects money into the economy and increases the overall demand for goods and services, thereby raising the need for more workers to produce those goods and services. But if a job creation policy must be “budget neutral”—that is, it must be accompanied by a tax increase or budget cut—then the benefits of the spending injected in the economy are diluted at best. So, an effective jobs plan should either be deficit financed or paid for in later years only after the economy is much stronger and has much lower unemployment. In order to put a significant dent in unemployment and establish a fast trajectory toward low unemployment, the jobs plan must be sufficiently large. As of the second quarter of 2011, the output gap—the shortfall between actual and potential gross domestic product—stood at $1.0 trillion (-6.3 percent), having narrowed from a peak of $1.2 trillion (-8.2 percent) in the second quarter of 2010 as a result of the American Reinvestment and Recovery Act (Fieldhouse 2011). Halving the output gap would require more than $350 billion in additional fiscal support for this year alone; this is in addition to maintaining current budget policy, including the payroll tax holiday, emergency unemployment benefits, discretionary spending levels, and transportation investments. Proponents of jobs plans should set clear goals regarding the extent to which unemployment will be reduced over the next two years. While the first three criteria can be used to evaluate individual job creation policies in isolation, this final criterion of scale should be applied instead to a package of job creation policies. One never knows how much to make of reports claiming to know what will be in the president’s jobs package. Some of them, like this Bloomberg story are saying that the president may propose a holiday on the employer side of the payroll tax in addition to continuing the 2 percent payroll tax holiday on what employees pay. In fact, isn’t that how the problem is frequently stated, that firms have a lot of cash but are not investing or hiring? So, giving them more cash doesn’t solve that problem, right? Maybe some people think a payroll tax holiday for employers works by lowering the costs of hiring new workers. If so, then it would not make sense at all to lower the taxes paid for workers already employed, a clear waste of money. That is why some people, including yours truly, have noted that lower taxes for employers should only result when employers add more workers than they already have, such as in a new jobs tax credit (see this EPI briefing paper). This policy has some serious leakage, too, as many firms would be adding employment anyway, but the overall impact is cost-effective and could encourage hiring now rather than later. It is worth noting that providing a payroll tax holiday on the employee side has a totally different economic rationale and one that makes sense. Basically, less payroll taxes paid means a fatter weekly take-home paycheck which, in turn, means households will be spending more. This boosts the overall demand for goods and services and generates jobs throughout the economy. In 2011 the payroll tax holiday boosted spending enough to offset the negative impact of higher fuel prices on family budgets. What about the politics? One can understand that conservatives might want to have a payroll tax holiday on the employer-side since, let’s face it, they like to give cash to corporations. So, why should President Obama propose this? Let the political opposition make that proposal. Then again, I haven’t frequently understood the theory underlying the president’s tactics in policy negotiations or how bargaining with yourself pays off in better policy or more political support. The Super Committee formed by Congress and the administration as a result of last month’s debt ceiling debacle is holding its first public hearing today. The committee’s 12 members were given a chance to state their opening remarks on fiscal policy and deficit reduction, and heard testimony from Congressional Budget Office head Doug Elmendorf. One of the congressmen on the committee, Rep. James Clyburn (D-S.C.), stated that his constituents – who face an unemployment rate over the 9.1 percent national average – were less interested in hearing about deficits from Congress and more interested in hearing about job creation. As the Super Committee dives into their work this month, a handful of congressmen are actually more concerned with putting America’s 14 million unemployed back to work. After all, we have a jobs shortfall of no less than 11 million to fill. Representative Keith Ellison (D-Minn.), who previously proposed the “Put America to Work Act,” which would provide cities, states, and Native American tribes with $350 billion in grants over the next two fiscal years, yesterday introduced the “Emergency Jobs Act Now.” This bill would require the Super Committee to create at least 3 million jobs over 2012-2013. It provides the committee with a mandate to create jobs in addition to its charge of reducing deficits by $1.5 trillion over 2014-2021. Though the bill does not offer specifics for job creation, it is important in that it sets a deadline for the Super Committee to vote on proposed emergency jobs legislation. It also strikes the budget caps for fiscal years 2012 and 2013 put in place by the Budget Control Act, (aka the debt ceiling bill) in order to allow for this emergency jobs legislation to make its way past budgetary restrictions. This is an important bill for Congress to consider, particularly as President Obama moves to address the nation on job creation measures tonight. Missed this when it came out, but Harvard economist Lawrence Katz published a jobs-proposal in the New York Times this past Tuesday that actually matches the scale of our jobs problem. Would I spend the money exactly the way he does to create jobs? Probably not. But, his proposed new jobs tax credit is much bigger than most others I’ve seen and calling for “at least several hundred billion dollars a year” in infrastructure spending for the next two years is, well, really serious. But, the plan is so naïve in the current political moment – he must not know anything about policymaking. And, missed this too, but Paul Krugman makes the point that environmental regulations that incentivize businesses to undertake investments needed to meet their requirements can actually create jobs when the economy has lots of unemployed workers. It’s a brilliant point, especially the ‘broken windows fallacy’ part. Of course I would think that – I made the same point (with the same ‘broken windows fallacy’ pooh-poohing) here. This paper found that the EPA’s “toxics rule” would create on the order of 100,000 jobs between now and 2015. Of course, the primary reason to enforce such regulations is not job-creation – that’s just a happy side-benefit during times of excess capacity – instead it’s the incredibly high benefit/cost ratio generally. But the jobs-terrain is where most opponents of regulations go, and, it’s wrong. David Leonhardt writes today about growing fears that the economy may enter outright recession again in the next year. Is this possible? Sure. Government spending is contracting, the trade deficit could well rise (especially with so many of our major trading partners growing slowly or outright shrinking themselves) and, most importantly, there’s no particular reason to think that consumer spending can’t go into outright reverse. For example, the jump in the personal savings rate from around 2 percent to 6 percent was a key driver of the recession – households began saving more as their housing wealth evaporated after the bubble’s burst, and the cutback in spending that is the flipside of increased saving sapped demand from the economy and contributed to the recession. Today this savings rate sits at 5 percent – and that’s hardly a sure upper-bound on personal savings – we’ve seen rates well over twice as high for long periods of time before. Who knows what the real, non-bubble rate of personal savings is going to shake out to be? All this said, I don’t think that an outright double-dip is nearly the most likely scenario for the next year. Is this a rare outbreak of EPI-optimism on the economy? Nope. As our president Larry Mishel pointed out yesterday, forecasts for unemployment a year from now predict essentially no change. We should expect, absent a big policy change, the same 9-point-whatever percent unemployment then as we have now. And this is the non-recessionary prediction! The most likely scenario, while not an outright double-dip, is sluggish growth that is far too slow to put a real dent in joblessness; zero is not the magic number signifying when you should start worrying about economic performance. […] According to sources with knowledge of White House deliberations, Obama’s plan may consist of spending on programs to extend aid to state and local governments to retain teachers and rehabilitate school buildings, as well as put construction crews to work retrofitting commercial buildings to make them more environmentally friendly. There will also be a series of tax cuts, including an extension of a payroll tax cut enacted in January that has put an average of $1,000 into people’s paychecks, and tax incentives for companies that hire unemployed workers. The White House also will propose new aid for the long-term unemployed. Mortgage relief for struggling homeowners, through a refinancing option that could pump billions of dollars into the economy, is also being considered, according to administration officials and others familiar with the deliberations. The total package is likely to cost more than $200 billion, and an Associated Press report Wednesday put the price tag at $300 billion. White House aides declined to confirm that number. Note that the payroll tax holiday and the Extended Unemployment Insurance continuation would cost around $160 billion. So there may be $100 bill + of new stuff. It looks like the overall job impact would be in the ballpark of 2.5 and 3 million jobs, with 1 – 1.4 million from the new stuff and 1.6 million from continuing the two temporary pieces. We’ll have more analysis as the details emerge. 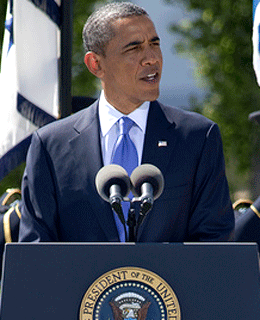 President Obama is scheduled to propose a set of job-creation proposals before a joint session of Congress on Thursday. Details have yet to be released, but it looks like the package will include a continuation of some policies — such as the expanded unemployment insurance benefits, and the payroll tax holiday — and some new initiatives such as school construction and expanded investments in infrastructure. Given that unemployment remains over 9% with 14 million people unemployed, it’s important to ask whether the job package is large enough to be meaningful. It’s also important to make sure that funds go to initiatives that are cost-effective at creating jobs quickly, while also providing economic value over the long run. Here’s how to think about the job impact. The continuation of temporary or expiring job policies will make sure that we don’t backslide, but won’t be a new source of net job creation. For example, the payroll tax holiday and the extended unemployment insurance have already created jobs (and will continue to do so), and failing to continue these policies (or to replace them with something as effective) will lead to 1.5 million fewer jobs. New initiatives, by contrast could lead to substantial new job creation if they are funded at an appropriate scale. For example, what would be the cost of spurring the creation of one million new jobs economy-wide? If you look at the impact of something like boosting spending on infrastructure (roads, bridges, etc.) each dollar spent yields an estimated $1.44 in increased GDP–which is pretty good on the bang-for-the-buck scale. If you track through the impact on employment (you need more people to make more stuff!) – it looks like each 1 percentage point increase in GDP leads to about 1.2 million new jobs. So, doing the quick math, you would need about $88 billion in additional investments to get an increase in employment of one million jobs. Conversely, investments totaling $100 billion would get you an increase of about 1.1 million jobs. The president’s initiatives will likely include some ideas that have a larger bang for the buck, as well as some that may have lower impacts, but the 1.1 million jobs per $100 billion is a fairly good way to quickly assess the overall job impact of public investments. Blue Chips falling on my head, ouch! Looking ahead at the unemployment expected in the future does not make me happy at all, especially these days. To gauge the persistence of the high unemployment, I keep track of forecasters’ projections of unemployment at the end of (last quarter of) 2012. This is usually as far forward as forecasters look and, frankly, anything beyond that is not all that credible to me. I just received the Blue Chip consensus, which aggregates the forecasts of 52 forecasts and they tell me that expectations for unemployment keep on rising. Back in June the consensus was for 8.0% unemployment in the fourth quarter of 2012 but it rose to 8.1% in July, jumped to 8.5% in August and reached 8.7% in the September consensus. This reflects that the growth expected in 2012 has fallen from the 3.1% rate expected in the June forecasts to just 2.2% in the recent forecasts. The Goldman-Sachs economics team, whose forecasts have fared pretty well in this recession, expects 9.3% unemployment at the end of 2012. Ugghhhh. Oh – and remember that none of these forecasts show an outright “double-dip” (i.e., return to negative growth). Instead, they just show the consequence of growth that is consistently too slow to soak up new labor market entrants and work off the backlog of unemployed workers built up during the recession. So, it’s not just an outright return to recession that’s scary for those worried about joblessness, sluggish growth is plenty scary too. A common refrain we hear these days is that one of the reasons hiring has not yet picked up substantially is that employers have job openings but can’t find workers with the education and skills they need. Of course, as today’s release of the Job Openings and Labor Turnover Survey shows, unemployed workers outnumber job openings by over four-to-one right now. The amount of unemployed workers vastly outnumbers job openings in every major industry, and there are far fewer job openings in this recovery compared to even the very weak recovery of the early 2000s. Our broad shortfall of demand for workers is beyond question. However, could there be a skills mismatch for the job openings we do have? An important thing to note in this discussion is that while there are always changes going on in any labor market that will create some degree of mismatch between the workers who are available and the workers employers need, the relevant question is whether this mismatch is contributing a substantial part of today’s unemployment. It is true that workers with higher levels of education have much lower unemployment rates than workers with lower levels of education. Could this signify an unmet demand for workers with high levels of education — a mismatch, given the excess supply of workers with lower levels of education — that is fueling our persistent high unemployment? The figure below shows unemployment in the first half of 2007 (before the recession began) and in the first half of 2011, by education level. It shows that while workers with higher levels of education do have substantially lower unemployment rates, these workers too have seen a large percentage increase in unemployment since before the recession started. 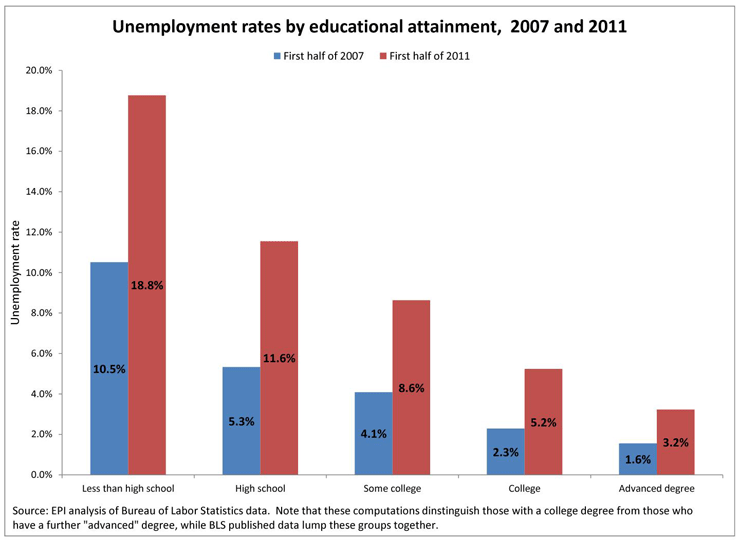 In fact, all education categories have seen their unemployment rates roughly double over the last four years. This across-the-board deterioration in the demand for workers runs directly counter to the notion that there has been some transformation of the workplace over the last four years that has left millions of workers inadequately prepared for the currently available jobs. The fact that productivity growth over this downturn has been comparable to that of the early 1990s downturn and far less than that of the early 2000s downturn (see Figure L here) provides further evidence that no major workplace transformation has occurred. For more on the issue of structural unemployment, see Reasons for Skepticism About Structural Unemployment. The last place I’d look for innovative job creation ideas is Texas, but Georgia isn’t far behind. President Obama hasn’t endorsed the Rick Perry sub-minimum wage job creation machine yet (see Paul Osterman’s op-ed in Tuesday’s New York Times), but he has given a shout out to a terrible idea from Georgia known as Georgia Works. I’ve been part of an effort to discourage the administration from including a Georgia Works-like proposal in the president’s Thursday jobs speech, but I’m afraid it’s been a losing battle. In 2003, long before the Great Recession, Georgia started allowing employers to try out new employees for eight weeks without having to pay them anything. Unpaid employment is generally illegal, of course. It violates the federal minimum wage law. Georgia thought it could get around the law by letting the try-out employees continue to receive their unemployment insurance benefits. In addition, the state provided stipends to help the employees pay for transportation to and from work. When the U.S. Department of Labor (DOL) discovered what was going on, it cautioned Georgia that the unemployed could continue to receive unemployment insurance benefits only if they were receiving state-approved training, and not if they were re-employed. But DOL also pointed out that bona fide trainees don’t have to be paid the minimum wage. So Georgia began calling its try-out employees “trainees” and required the employers to provide some training, though in practice the training might not amount to much. This is obviously a great deal for the employers who participate, who get eight weeks of employment free, without paying even Social Security taxes or unemployment insurance taxes, let alone wages and benefits. Their competitors haven’t complained very much, perhaps because they know that in the long run, such a program will drive down entry wages low enough to benefit them, too (many employers have discovered the similar advantages of unpaid internships). But what kind of deal is Georgia Works for employees? Its proponents defend it on the basis that it’s voluntary and it gives the unemployed some hope of getting permanent employment at the end of the try-out. Unfortunately, even the state of Georgia doesn’t claim much success for the program. Only one try-out employee in four got hired by the business that got his or her free labor, even according to the state’s unaudited claims. The state has never published any study that provides any evidence that the program improves the participants’ chances of getting a permanent job, let alone one at decent wages and with good benefits. And as for job creation, Georgia has failed miserably. From July 2010 to July 2011, Georgia lost more jobs than any state but Indiana. All but six states gained jobs over that period, but Georgia lost 24,900 jobs. Georgia’s unemployment rate remains among the nation’s highest, a full percentage point worse than the national average. Clearly, this is a record to run from, not one to impose on the rest of the nation. So why would President Obama praise Georgia Works? Does he know the program has dwindled to the point that fewer than 20 of the unemployed were participating in it last week? The answer appears to be that his hunger for bipartisanship has overcome his reason. Representative Eric Cantor (who wants to stop paying Emergency Unemployment Compensation to the millions of long-term unemployed who are receiving it), likes Georgia Works. Speaker of the House John Boehner likes Georgia Works too. Apparently, that’s enough to convince the president to ignore the stubborn fact that Georgia Works is a failed program with the potential to do serious damage to an already weak labor market. My biggest fear is that Georgia Works, no matter how scrupulously it’s reformed and policed, is the first step onto a slippery slope leading downhill to workfare, the notion that the jobless ought to “work off” any benefits they receive. There are plenty of right-wing pundits and politicians who consider unemployment insurance a form of welfare, rather than a protection workers earn and pay for with their work and deferred wages. More than 1.2 million construction workers were out of work in August, and their unemployment rate is about 50 percent higher than the national average. Those numbers look a little better than they did six months ago, but it’s not because construction firms are hiring. It’s because construction workers are finding jobs outside their industry or giving up their job search. Total construction employment is no higher today than it was a year ago, when the unemployment rate for construction and extraction workers was 16.3 percent. Millions of years of experience are going to waste as these skilled workers sit idle. Meanwhile, most of the nation’s 100,000 public schools need repairs, upgrades, and maintenance that have been deferred, sometimes for many years. These repairs are just the kind of work unemployed construction workers have the skills and experience to do — replacing boilers or faulty air conditioning systems, repairing broken tiles, removing or encasing asbestos, making electrical repairs and upgrades, replacing roofs and windows, and making security improvements. School districts and state education agencies have long lists of deferred maintenance and repair projects. Washington state, for example, has listed $2 billion of projects in hundreds of schools, many of which could be started even while the kids are in school. New York City has a project list with a price tag exceeding $1 billion, which is no surprise when you take into account that some of the city’s schools are more than 100 years old. The maintenance and repair backlog means inefficient energy use and higher utility costs, roof leaks that damage books and equipment, exposure to mold, asbestos, and fire dangers, and a sense among many schoolchildren and teachers that education really isn’t a local or national priority. And the problem is getting worse. The states and local governments have been hammered by the financial crisis, the recession, high unemployment and falling tax revenues. They have laid off hundreds of thousands of employees and cut back spending however they can. California, for example, has imposed $18 billion of budget cuts on the schools since the Great Recession began three years ago, leaving even less money to address deferred maintenance and repairs. The only solution to nationwide problems of this magnitude and importance is federal intervention. Congress should enact a jobs program targeted at the infrastructure of our public schools. That program is FAST!, Fix America’s Schools Today, a $50 billion grant program I have proposed with Mary Filardo of the 21st Century School Fund and Jared Bernstein of the Center on Budget and Policy Priorities. Using existing school aid formulas, Congress could allocate money to the 100 biggest school districts and the state education agencies to put people to work within a matter of weeks. Before winter hits, old, thermally inefficient windows could be replaced, insulation could be added to roofs, old boilers could be swapped out, and tens of thousands of construction workers could be back on the job. By next summer, hundreds of thousands of workers could be employed making improvements to facilities in every school district. The great thing about this is that this work has to be done eventually, it’s overdue, and there’s no better time than the present to do it. Borrowing costs for the federal government are historically low, material costs are low, and contractors are eager to do the work. Many people say (wrongly) that they and their families never benefited from the previous stimulus, and most people have trouble identifying anything that was accomplished. But this work will be highly visible and highly appreciated by the 64 million public school students and their families. The high school my daughter attended was just renovated, six years too late for her. But it gives me a sense of pride and confidence in the community to see the vastly improved facility and to know that future students will be safer and better served. Legislation like FAST! should have been enacted 10 years ago, but it’s better late than never. Rumors abound that President Obama will recommend a program like FAST! in his jobs speech at the joint session of Congress on Thursday. If House Speaker John Boehner and his colleagues care about jobs and education, they’ll take him up on this win-win proposition. 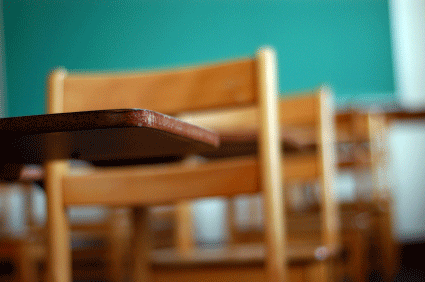 Schools confront poverty, why don’t education policies? I come from Chicago where 85 percent of our students live below the poverty line. If children can’t see the blackboard, they’re going to have a hard time learning so we have to get them eyeglasses. We used to get literally tens of thousands of kids eyeglasses every year. If children aren’t fed and are hungry, they’re going to have a hard time concentrating, so we fed tens of thousands of kids three meals a day. We had a couple of thousand kids we were particularly worried about so very quietly we would send them home Friday afternoons with a backpack full of food because we worried about them not eating over the weekend. Should schools have to do that? No, in a perfect world they wouldn’t have to do that. But we have to deal with reality and whether it’s eyeglasses, food, or physical and emotional safety, we have to address all of those things. And schools can’t do it alone. Non-profits, faith-based institutions — all of us have to work together. Urging schools to solve vision, nutrition or physical and emotional safety problems by working with “non-profits” and “faith-based institutions” is silly. Voluntary organizations can perform isolated acts of charity, but only government can narrow the vast social inequalities that bring many children to school unprepared to learn. The Obama Administration’s education program expects nothing of society, and everything from schools. It proposed a “Blueprint” for re-authorizing the Elementary and Secondary Education Act that would hold schools accountable for getting all children “college and career ready” by 2020, whether they can see the blackboard, come to school hungry, or eat on the weekend. And while the “Race to the Top” competition (with funds from federal stimulus appropriations) awarded points to states for the administration’s favored school reforms, states got no points for providing eyeglasses or food, or for improving emotional and physical safety by, for example, adopting suburban zoning reforms that would permit family moves from ghettos to more stable neighborhoods. The Broader, Bolder Approach to Education campaign convened by the Economic Policy Institute describes many practical programs that could ameliorate hardships that impede children’s ability to flourish in school. Duncan’s interview shows the administration is not oblivious to this need but simply chooses to ignore it. The House Republican majority has spent much of the last year, and will likely spend much of the fall, criticizing what it considers job-killing, uncertainty-generating regulations, and holding fast to the belief that deficit reduction should not include increased taxes. In contrast, the nation’s business economists overwhelmingly think the current regulatory environment is good for the economy, dismiss the possibility that government-caused uncertainty is a major factor holding the economy back, and believe deficit-reduction should include tax hikes. — The vast majority (80%) of those surveyed believe the current regulatory environment is good for American businesses and the overall economy. — The large majority of business economists believe concerns about economic uncertainty are a proxy for generalized concerns about the bad economy. (That is, the concerns do not reflect business worries about regulation.) Few believe economic uncertainty is a major concern that is holding back economic progress. — Nearly nine in every 10 business economists believe that attempts to reduce the federal budget deficit should include at least some tax increases. Nearly half support deficit-reduction packages reflecting equal amounts of spending cuts and tax increases or mostly tax increases. Q: In your view, is the current regulatory environment good or bad for American businesses and the overall economy? Q: When asked about their top economic concerns, many businesses cite “uncertainty” as a major worry, suggesting that continued anxiety is impacting their decision-making process. How concerned are you about “economic uncertainty,” and do you feel that it is a legitimate challenge to economic growth? — 13%: Americans remain anxious about the economy, and as a result, they are not spending or investing in their businesses. It is a major concern. — 75%: While Americans remain anxious, “economic uncertainty” is simply a proxy for other economic indicators. Once the economy starts to improve, such anxieties will go away. It is a concern, but not a major one. — 12%: “Economic uncertainty” is not measurable, so it really has no bearing on the economy or growth. It is not a major concern. Q: How should Congress attempt to reduce the federal budget deficit? — 12%: Only with spending cuts. — 44%: Mostly with spending cuts. — 37%: Equally with spending cuts and tax increases. — 6%: Mostly with tax increases. — 1%: Only with tax increases. Hello and welcome to Working Economics, the new blog of the Economic Policy Institute. Since its founding in 1986, EPI has had a special focus on the living standards of working families and we have done so for a simple reason: We believe that the measure of a good economy is whether it is providing rising living standards to the vast majority. That is the bottom line and discussions about Gross Domestic Product, productivity, trade or even rising employment must be vitally linked to how they connect to improved economic well-being and quality of life for our nation’s working families. And, for the record, “working families” includes those who want to work but cannot find work as well as those in retirement, living off of the pensions, Social Security and savings generated during their working years. EPI’s mission is to inform people and empower them to seek solutions that will ensure broadly shared prosperity and opportunity. Consequently, EPI offers a steady stream of policy solutions that will steer the economy toward robust and widely shared growth. We believe it is not enough to describe the world and the challenges we face. Rather, it is critically important to point the way toward how we can make the economy work for us all. As EPI and others have established, the economy has not worked well for most people over the last three decades, even before the crushing pain of the current persistent, high unemployment and all of the associated ills. None of this happened by accident and the unacceptable outcomes we have experienced should not and need not be accepted. That is the context for our establishment of this new blog. Working Economics will provide EPI an additional tool for communicating about the economy and economic policy. It will provide an effective mechanism for engaging in the issues that people are thinking about every day. The blog will help EPI analyze and respond to breaking economic news quicker than ever before. It will also allow us to surface many of the analyses which we regularly undertake but do not showcase in the public sphere. The blog provides a forum for EPI researchers to present EPI’s work in a conversational and engaging manner. We recognize that EPI’s biggest asset is our hard-earned reputation for doing solid empirical and policy analysis. Therefore, our blog posts will maintain the same high quality readers have come to expect from EPI. Our ultimate goal is to make Working Economics a resource for those trying to understand the economy and for those trying to find ways to make the economy work for everyone. Reading Working Economics will give you insights into how the economy works and for whom it is working. We hope you’ll enjoy our entry into the blogosphere and read us regularly.